Clarinetist Edmond Hall (1901-67) had a distinctive tone that was so passionate that he could easily cut through a large ensemble. While he played with Buddy Petit’s band in New Orleans as early as 1921 and made his first recording (on soprano) with Alonzo Ross’ De Luxe Syncopators in 1927, it would take him another decade before he had his own sound. Hall was a member of the Claude Hopkins Orchestra for five years but was featured more on baritone and alto than he was on clarinet. It was not until 1937 on two recording date with trumpeter Frankie Newton that his clarinet playing was really heard for the first time. 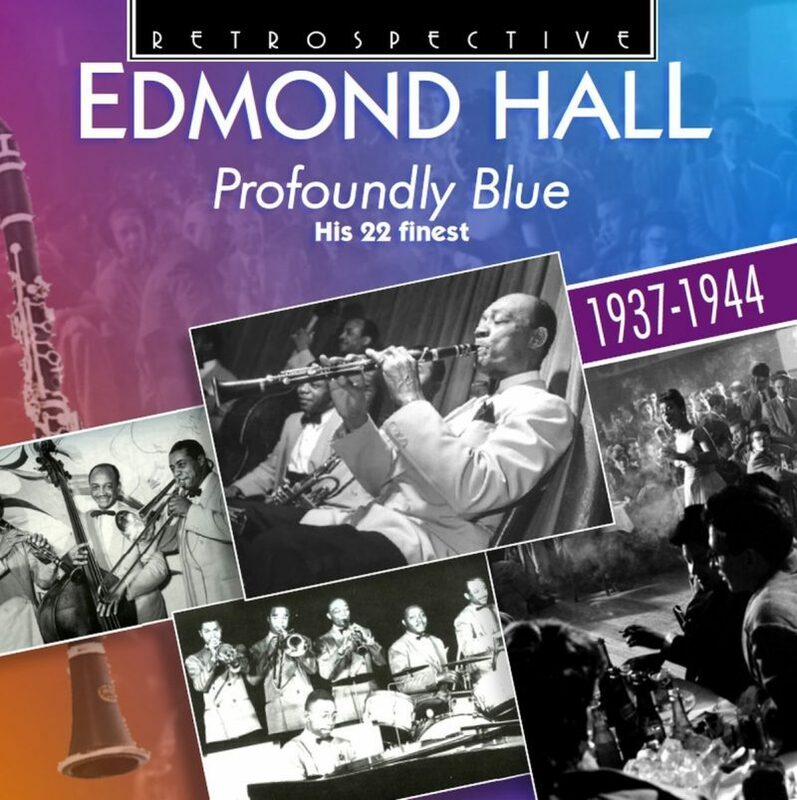 While Profoundly Blue 1937-1944 from the Retrospective label does not have any of the Newton performances, it does an excellent job of summing up an important seven-year period in Edmond Hall’s career. The clarinetist takes a solo on “Me, Myself, and I” from an early Billie Holiday session, is one of the stars on dates with Lionel Hampton, Henry “Red” Allen, and Zutty Singleton, and is showcased on the highpoints from his own sessions for Blue Note and Commodore. There are also three numbers from his most famous recording date of the era, performances with his Celeste Quartet that team him with Charlie Christian (the great electric guitarist’s only date on acoustic guitar), boogie-woogie pianist Meade Lux Lewis (heard swinging on celeste) and bassist Israel Crosby. Other key sidemen featured along the way include tenor-saxophonists Lester Young and Coleman Hawkins, trombonists Benny Morton and Vic Dickenson, trumpeter Sidney DeParis, baritonist Harry Carney, and pianists James P. Johnson, Eddie Heywood, Teddy Wilson, and even Art Tatum (on “Esquire Blues”). Whether exploring a sophisticated swing tune, several blues, or “High Society,” Edmond Hall, who in later years worked with Eddie Condon and the Louis Armstrong All-Stars, is heard throughout this CD in his early prime.